The Roadrunners are helping local softball player with their fundamentals Sunday and Monday before their college season. BAKERSFIELD, Calif. — Calling all Kern County softball players. 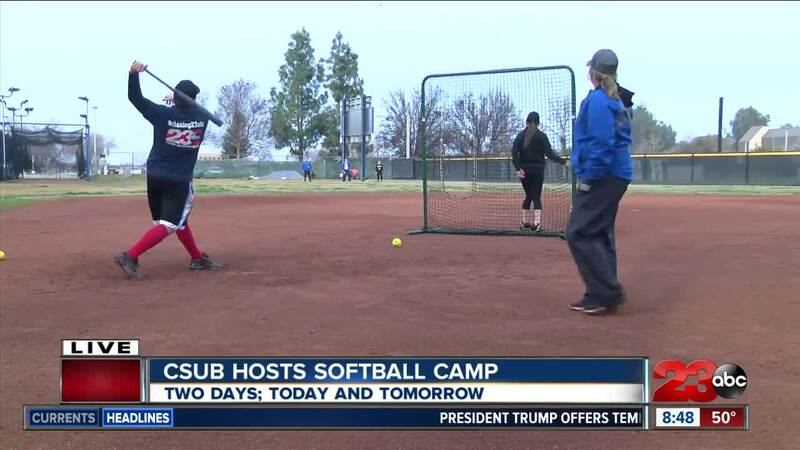 The California State University Roadrunners are hosting a two-day softball camp Sunday and Monday. The goal fundamentals and having fun. Sunday and Monday the CSUB Softball team will be welcoming softball players between 9 a.m. to 1 p.m. at the CSUB Softball Complex. For more information about how to sign-up visit the CSUB Softball website, here .